Citrus canker has been identified in the Northern Territory (NT) and Western Australia (WA) prompting a nationally coordinated response to eradicate the disease, with movement controls and quarantine measures in place to prevent further spread. Citrus canker is a contagious bacterial disease which affects all citrus plants (and some other plant species of the citrus family, Rutaceae) and is caused by the bacteria Xanthomonas citri subsp. citri. Infected trees display unsightly lesions which can form on leaves, fruit and stems. Trees infected with the disease may suffer from low vigour and a reduction in fruit quality and quantity. 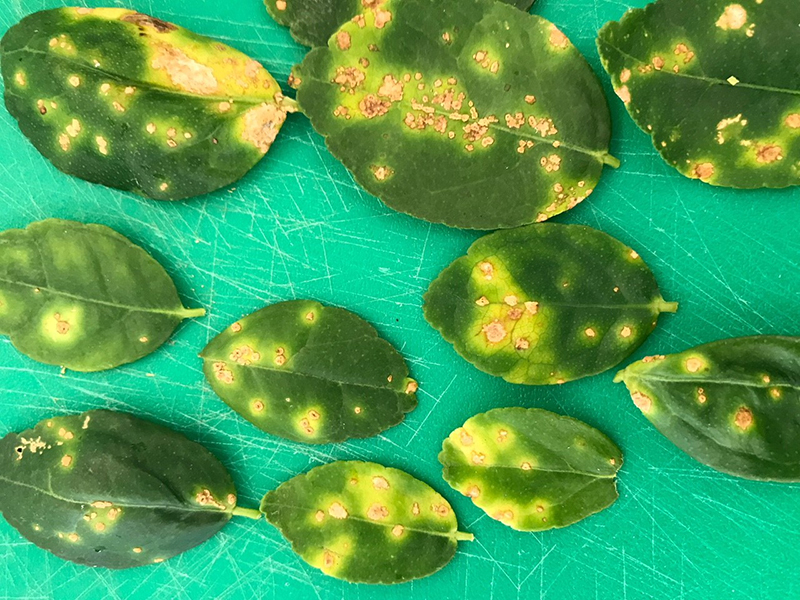 Citrus canker is a serious disease impacting on citrus production and is the subject of a number of control and eradication programs around the world. Citrus canker can cause abnormal leaf fall, die back, discolouration, poor growth and economic loss. In severe cases infected trees will die. The disease is widespread in many tropical and subtropical citrus-growing areas of the world. In Australia, citrus canker has previously been detected in 1912 and 1991 in Darwin, Northern Territory (NT) and in Queensland on Thursday Island in 1984 and Emerald in 2004. Citrus canker can be spread rapidly over short distances, particularly in tropical and subtropical climates by wind-blown rain. Overhead irrigation systems can also spread the disease. Long distance spread occurs through flooding, cyclones, or by people moving infected plant material or equipment. Citrus canker appears as raised spongy lesions on leaves, twigs and fruit, which gradually increase in size to 5-10 mm over several months. Eventually the lesions collapse forming a crater-like appearance. The lesions become surrounded by characteristic yellow halos, and the raised edges of the lesion may appear “slimy”. Early detection, reporting and not moving infected plants is vital, and will give us the best chance of eradicating this disease. You should not collect a sample or move the suspect plant, instead report the symptoms to the NT Department of Primary Industry and Resources (DPIR). Signs of infection can look similar to other bacterial diseases that are known in northern Australia, therefore it is vital for all diagnosis to follow the national protocol. When phoning the hotline you can arrange to submit a photo for preliminary diagnosis. The photo should be a clear image of the suspect plant and the plant’s label, if you still have it. 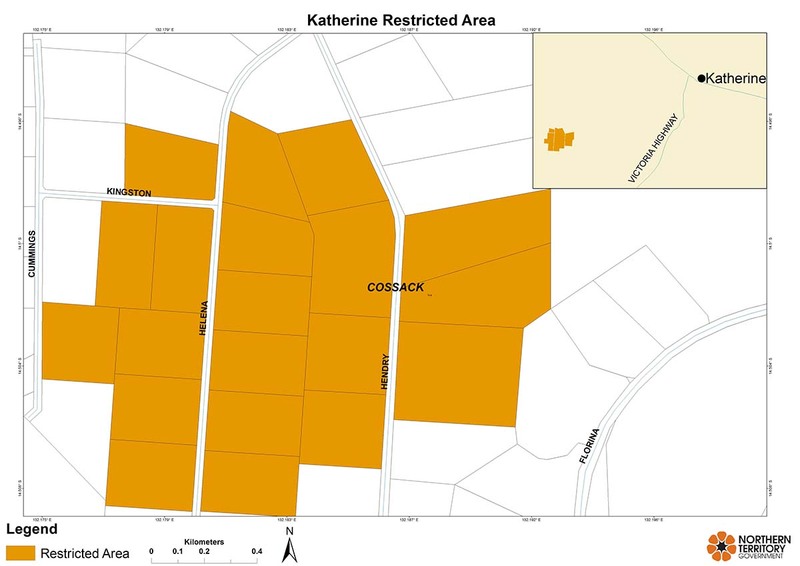 Download map of NT citrus canker quarantine places (724.7 kb) (control areas and restricted areas). 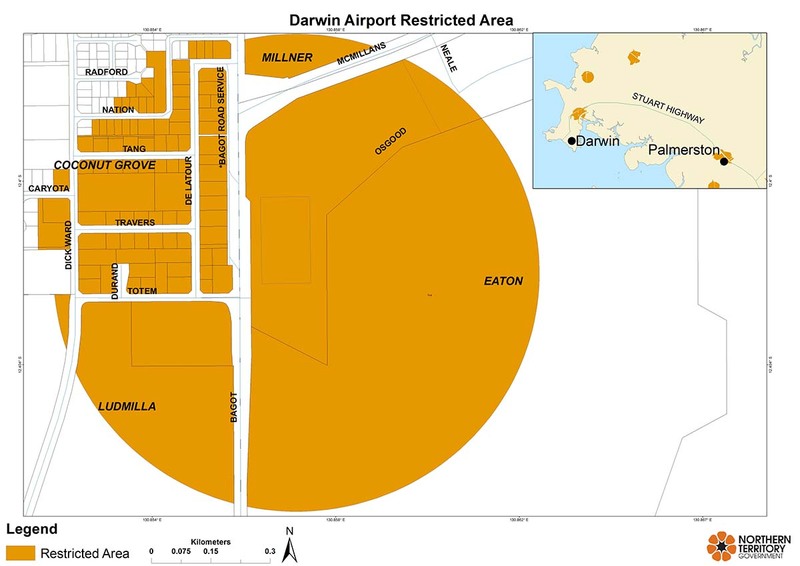 The control area (209.5 kb) covers the greater Darwin area and beyond, south to Adelaide River, east to Kakadu and west to Dundee. Plants susceptible to citrus canker, and products such as fruit and leaves, are not allowed out of this area. 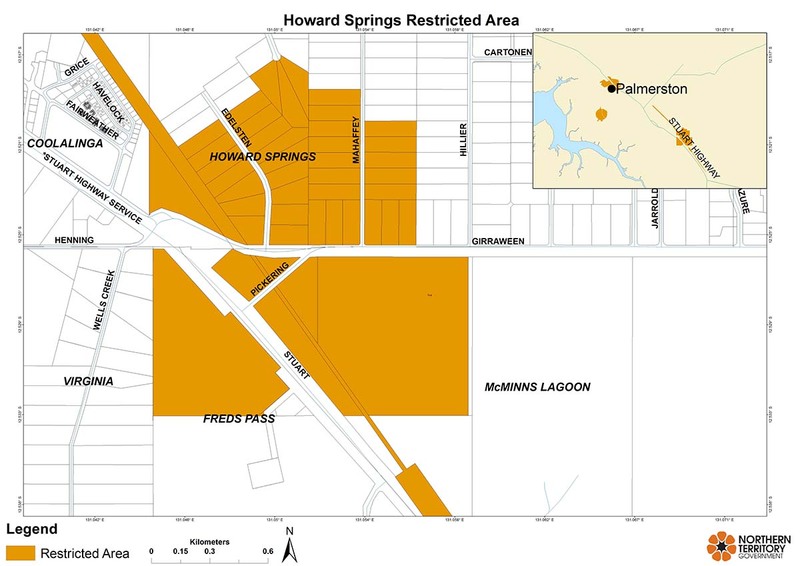 Within these restricted areas you cannot move citrus and related plants or products like fruit and leaves except those that come from outside the control area. Find out what the restrictions mean for you by reading the fact sheet. Within the restricted area you cannot move citrus and related plants or products like fruit and leaves except those that come from outside the control area. To move citrus canker (Xanthomonas citri subsp. citri) host plants and plant-related material into, within and from a restricted area and from a control area (as declared under the Government Gazette) you may need apply for a permit. It is the obligation of every individual to find out if a permit is required. If you have any queries please email quarantine@nt.gov.au. Download the application form and (169.9 kb) email to quarantine@nt.gov.au. Many citrus crops can be affected by citrus canker. These include limes, lemon, citron, mandarin, orange, and grapefruit. A full list of species that are susceptible to citrus canker is available here (616.9 kb). The disease can be spread by wind and rain, landscaping equipment, people through hands, clothing, or equipment and through infected or exposed plants or plant parts. DPIR is urging the public to check their citrus plants (616.9 kb) for the suspected citrus canker disease. Early detection, reporting and not moving infected plants is vital, and will give the department the best chance of eradicating this disease. Plants that were purchased after 1 January 2017 are of particular concern. 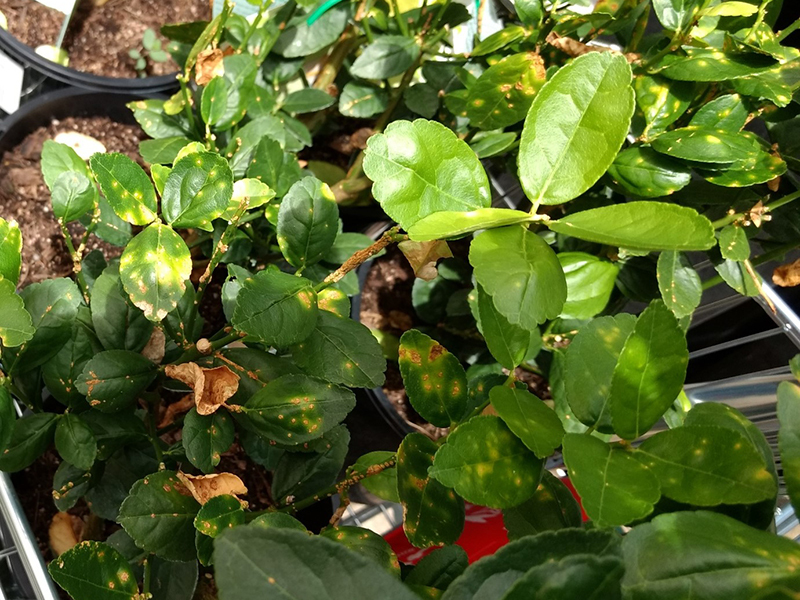 We are currently asking all Territorians with citrus plants to please urgently check them for symptoms, not to move the plants and to contact the department if you think it may be infected with the disease. * The audio recordings contain general information on the citrus canker disease and the NT Government’s response, a summary of the affected fruits, and steps that can be taken to prevent the further spread of the disease including reporting potentially infected citrus plants. What does citrus canker look like? Symptoms on leaves and fruit are brown, raised lesions surrounded by an oily, water-soaked margin and a yellow ring or halo. Old lesions in leaves may fall out, creating a shot-hole effect. Citrus canker is a contagious disease of citrus (and some other plant species of the Rutaceae family) caused by the bacteria Xanthomonas citri subsp. citri. Infected trees display unsightly lesions which can form on leaves, fruit and stems. Like many plant diseases there are a number of pathways that citrus canker could have entered the NT through. The department’s scientists and experts are investigating all options to try and identify the origin. Does it affect all citrus plants? Citrus canker is a contagious disease caused by the bacteria Xanthomonas citri subsp. citri which can affect all citrus plants. Are there human health impacts? No, citrus canker does not harm humans or animals and fruit remains safe for consumption. How long does the bacteria survive for? 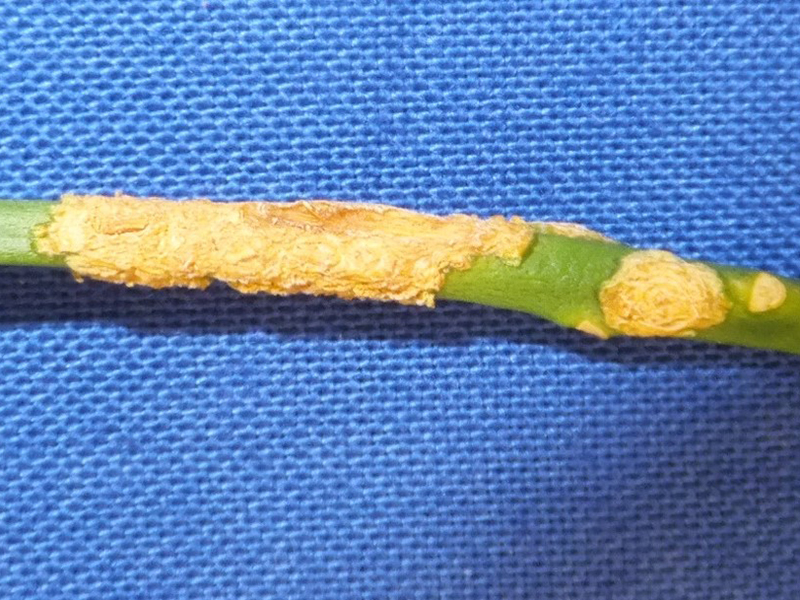 Inoculum remains in the lesions of plants from year to year, and are the primary source of new infections. Bacteria can also survive on straw or mulch, or in soil. Bacteria from lesions are spread throughout the plant by rainfall. In rain storms, bacteria can be carried between trees, up to 100m. The disease can remain in infected rotting plant material, such as mulches and become active again in periods of high rainfall and warm weather. The disease cannot survive in the soil, it must have contact with a plant host. It is not transmitted by seeds. Does citrus canker occur in other parts of Australia? Citrus canker has previously been found in Australia, however it has been eradicated each time. Are all NT citrus plants affected? DPIR are currently undertaking tracing and surveillance to understand what plants are affected. Does the NT have enough biosecurity monitoring in place to protect the local industry? Biosecurity is everyone’s responsibility – from growers to backyard gardeners, scientists and consumers. We all have a responsibility to be alert for new pests and diseases to help protect our vital agricultural industries. The NT takes its biosecurity responsibilities very seriously and has been quick to act when outbreaks occur. What restrictions are in place to stop the spread? 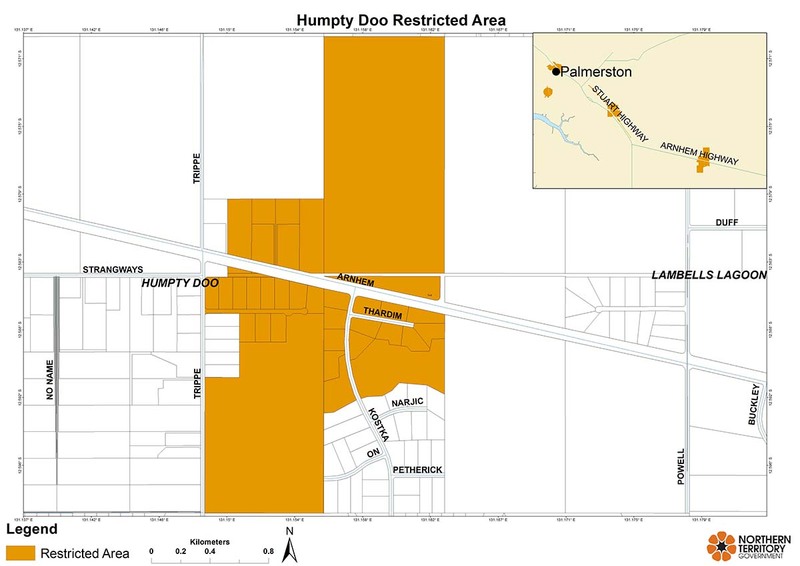 Movement restrictions are in place in the restricted area. Citrus plants, fruit, leaves and twigs cannot be moved within, into or out of the restricted areas. 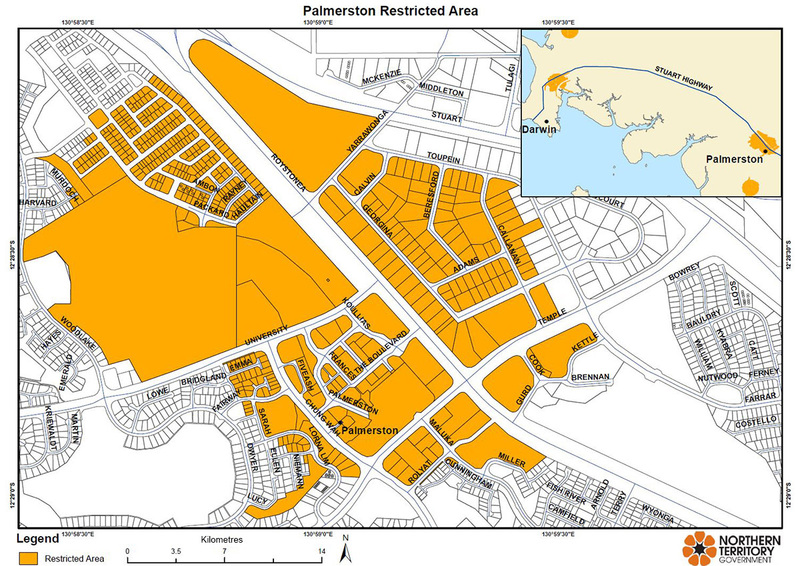 What if I live in one of the restricted areas? There are movement restrictions for citrus and citrus canker host plants in the restricted areas. 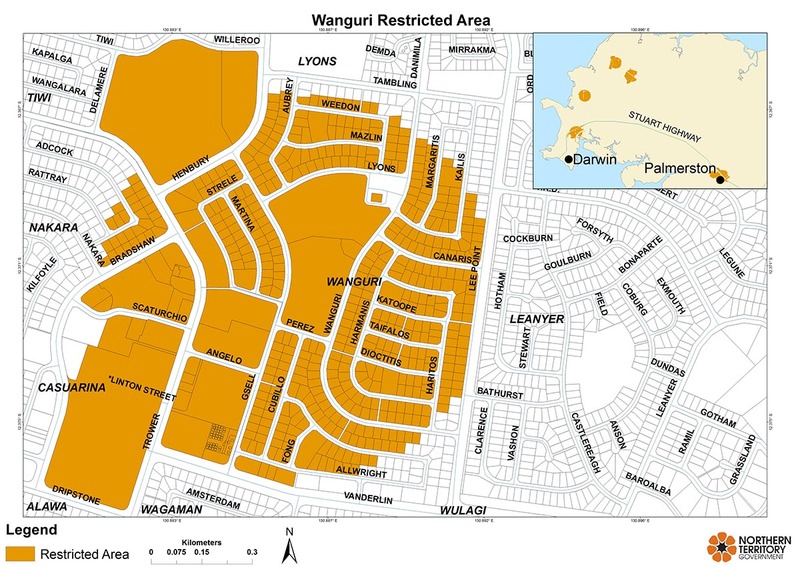 Citrus cannot be moved within, into or out of the restricted areas. 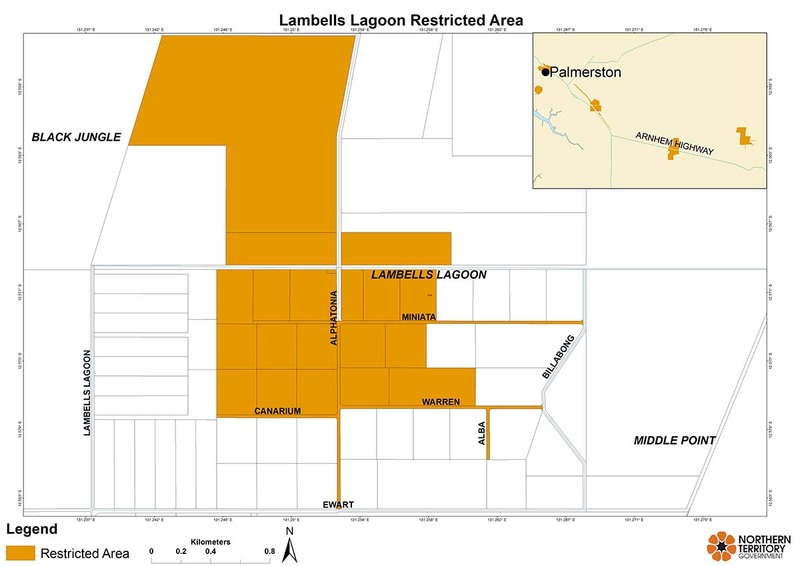 If you live in the restricted area and have citrus call the citrus canker hotline for more information and to arrange a time for an authorised inspector to meet with you at your property. As part of the Citrus Canker National Response Program 2018, all citrus canker host plants within restricted areas (a 600m radius of where the disease was detected) must be removed for the control of citrus canker. Officers from DPIR and approved contractors will be visiting properties to facilitate this process. 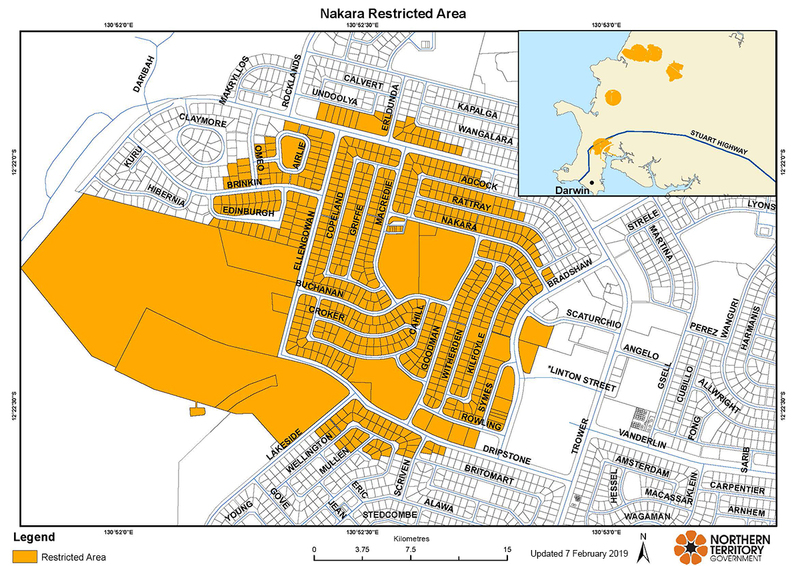 What will happen to citrus plants and citrus canker host plants in the restricted areas? All citrus and citrus canker host plants in the restricted areas will be removed under strict quarantine protocol and disposed of. You will not be able to introduce new citrus host plants until further notice. When will plant removal in the restricted areas commence? 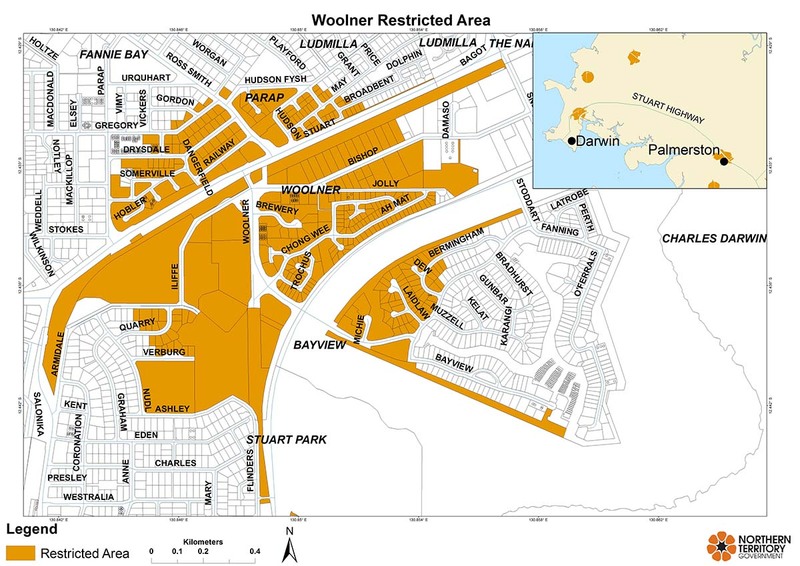 Residents and businesses within the restricted areas are receiving correspondence from DPIR to advise that the eradication phase of the citrus canker emergency response is commencing from Friday 7 September 2018. This will include the removal of lime, lemon, mandarin, citron, orange and grapefruit species. 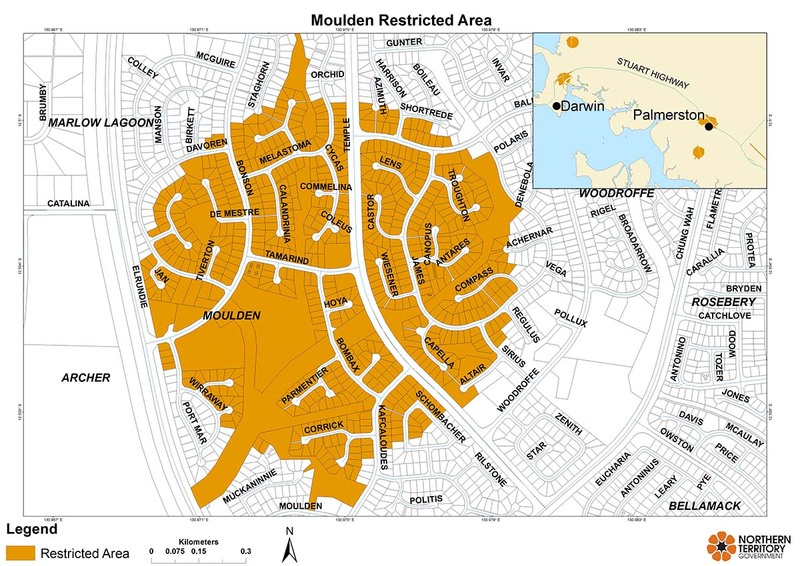 Removal will be done using a staged approach and in consultation with residents beforehand. Why is it necessary to remove plants in the restricted areas? The Northern Territory needs to be free from citrus canker in order to trade across Australia and international borders. The removal of infected and host plants within restricted areas is an important step towards the eradication of this serious plant disease. What if my plant is healthy? 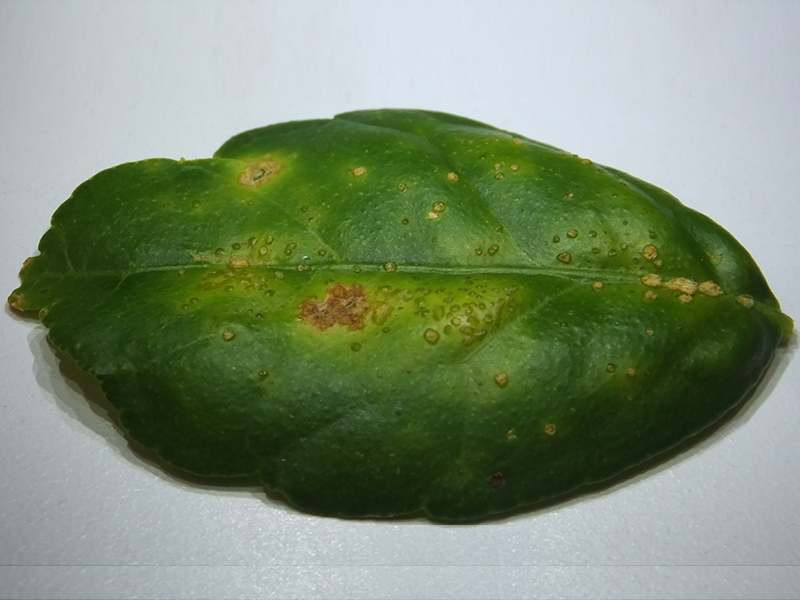 While plants may look healthy symptoms of citrus canker may not always be clearly visible on the plant. That is also why the plant needs to be removed if it is in the restricted area. Evidence shows that the only way to ensure complete eradication and prevent further outbreaks is to remove all citrus plants, fruit, products and plants that can host the disease from the restricted areas, regardless of size and age. 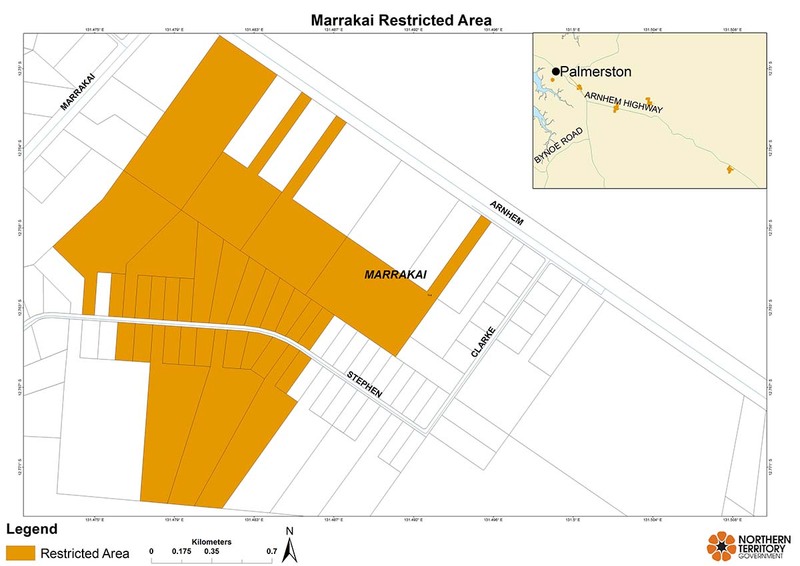 Our trade and export obligations require the Northern Territory prove that all plants have been removed from the restricted areas. How will I know when my plants are going to be removed? 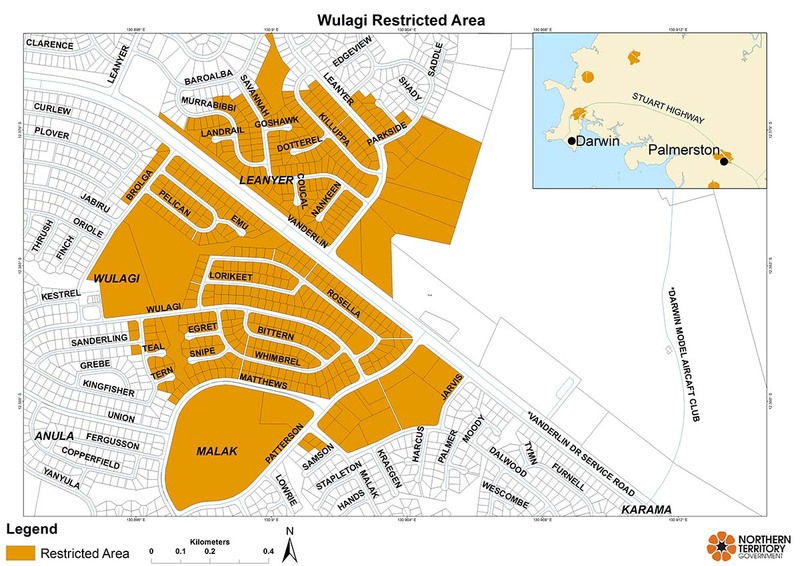 Authorised inspectors from the DPIR will be contacting people to make arrangements to access properties in the restricted areas to remove citrus plants and plant materials. What happens to my plant when it has been removed? Removed plants are bagged in bio-hazard bags and buried as landfill. When can I replant after the plant has been removed from the ground? Once your plant/s have been removed you are free to replant non-citrus canker hosts in the area. Citrus canker hosts cannot be replanted until movement restrictions are lifted. You will be contacted by DPIR and issued with an approved permit to replant citrus canker hosts when movement restrictions are lifted. Can I get compensation for my removed plants? No. Under the Emergency Plant Pest Disease national arrangements the Australian Government has only made owner reimbursement costs available for commercial producers of crops who can demonstrate loss of commercial income as a result of infected plants. Can I still buy citrus fruit and juice in Darwin? You can still buy fruit and juice which comes from outside the control area, even within the restricted areas. You can buy fruit and juice which comes from within the control area so long as you are outside a restricted area. Can I still sell citrus fruit and juice in Darwin? You can still sell fruit and juice which comes from outside the control area, even within the restricted areas. You can sell fruit and juice which comes from within the control area so long as you are outside a restricted area. What about kaffir lime leaves? Kaffir lime leaves are a citrus product and are subject to the restrictions. Unless they are imported from outside the control area, they cannot be moved into, out of or within the restricted areas.They also cannot be moved outside of the control area. 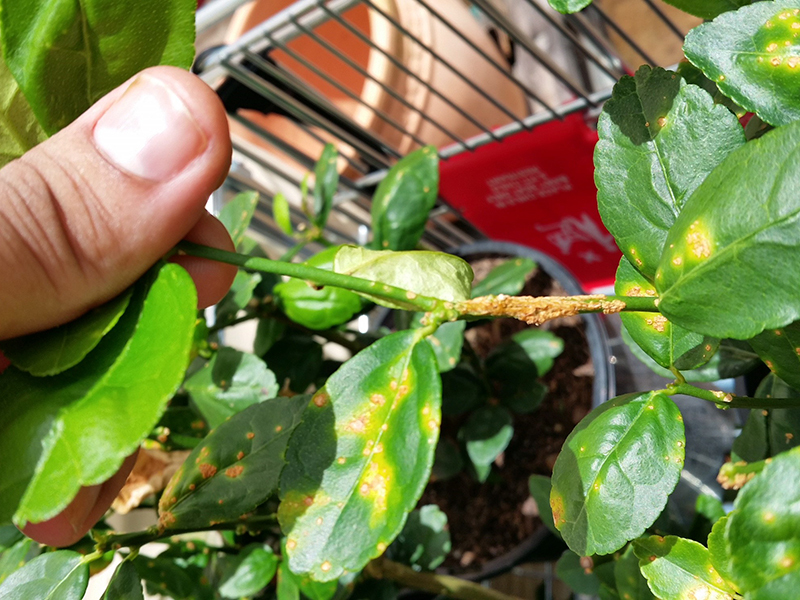 How do I report Citrus Canker?